Accurately measuring and monitoring patient's blood oxygen level plays a critical role in today’s clinical diagnosis and healthcare practices. Existing techniques however either require a dedicated hardware or produce inaccurate measurements. 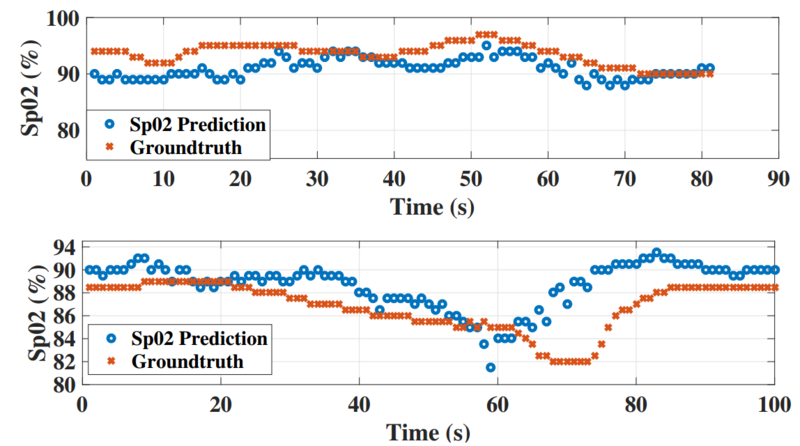 To fill in this gap, we propose a phone-based oxygen level estimation system, called PhO2, using camera and flashlight functions available on today’s off-the-shelf smart phones together with a set of algorithms for spatial and spectral optical signal modulation to amplify the optical signal of interest while minimizing noise. 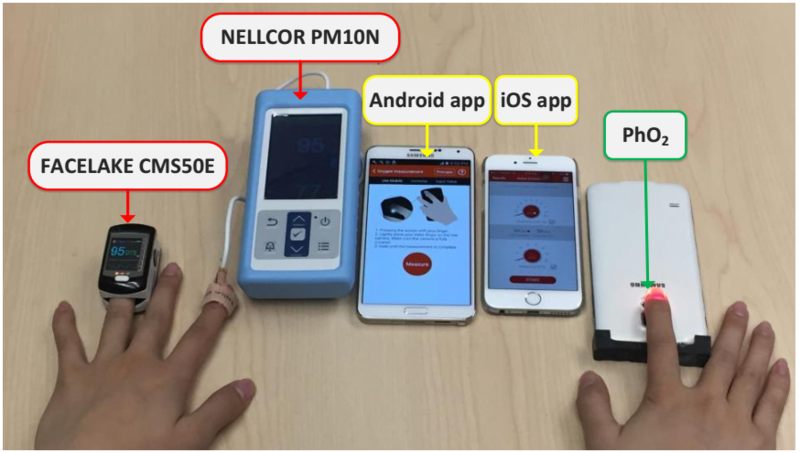 An evaluation using a custom-built optical element on COTS smartphone with 6 subjects shows that PhO2 can estimate the oxygen saturation within 3.5% error rate comparing to FDA-approved gold standard pulse oximetry. 07:2017: PhO2 paper is accepted to ACM SenSys 2017. ACM SenSys 2017 - The ACM Conference on Embedded Networked Sensor Systems, November 2017. ACM MobiCom - S3 2017 - The ACM International Conference on Mobile Computing and Networking. The Ninth Wireless of the Students, by the Students, and for the Students Workshop, October 2017.